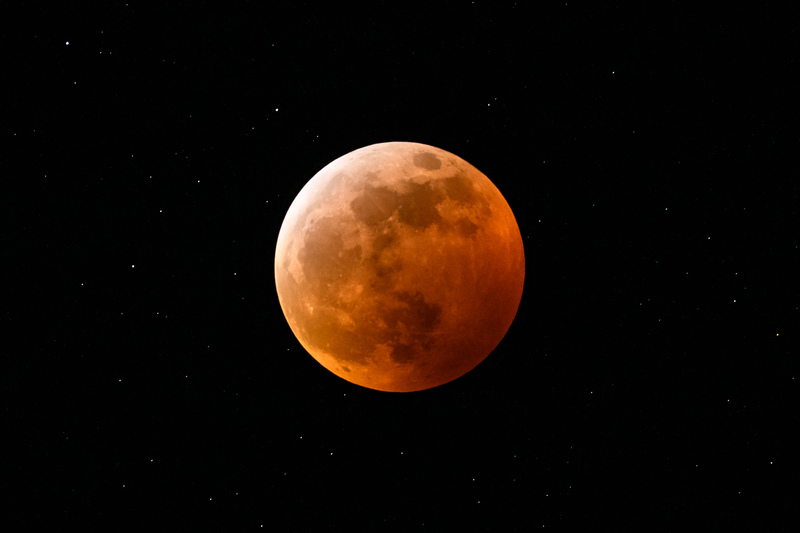 January’s usual weather conditions — with chilly temperatures for much of America and cloudy skies in the Pacific Northwest — aren’t exactly ideal for tracking a total lunar eclipse, but Jan. 20’s “Super Blood Wolf Moon” actually lived up to the hype. Photographers across much of the country braved the cold to get some jaw-dropping snapshots and time-lapse views. Even in Seattle, where the weather forecast wasn’t promising, the hours-long progression from supersized full moon to a ruddy darkness and back to lunar brightness unfolded in mostly clear skies. See the top-10 favorites on GeekWire. This entry was posted in GeekWire and tagged Eclipses, Moon, Space, Supermoon. Bookmark the permalink.